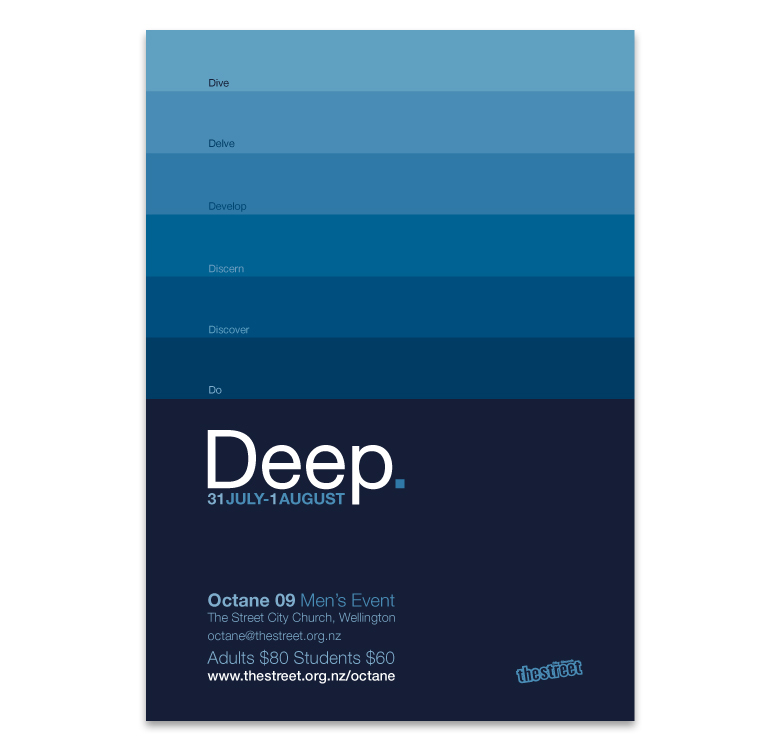 The Street City Church’s Men’s Ministry runs an annual conference for men under the ‘Octane’ title (which is principally the team running the event). Every year a new conference takes a new name, which takes the priority in the promotion. Usually the design is strongly graphic, in a way that appeals to men, and tries to avoid the obvious ideas. 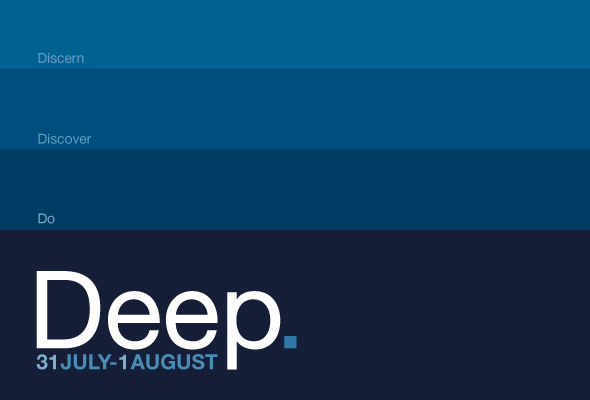 In 2009 the conference was called Deep. The theme was taken from the Biblical book of Jonah, with the teaching on “going deeper in your relationship with God.” A large amount of promotional material was devised and sent to churches in the Lower North Island and the Upper South Island of New Zealand. The Deep Flyers, distributed to every church, which a registration slip inserted. 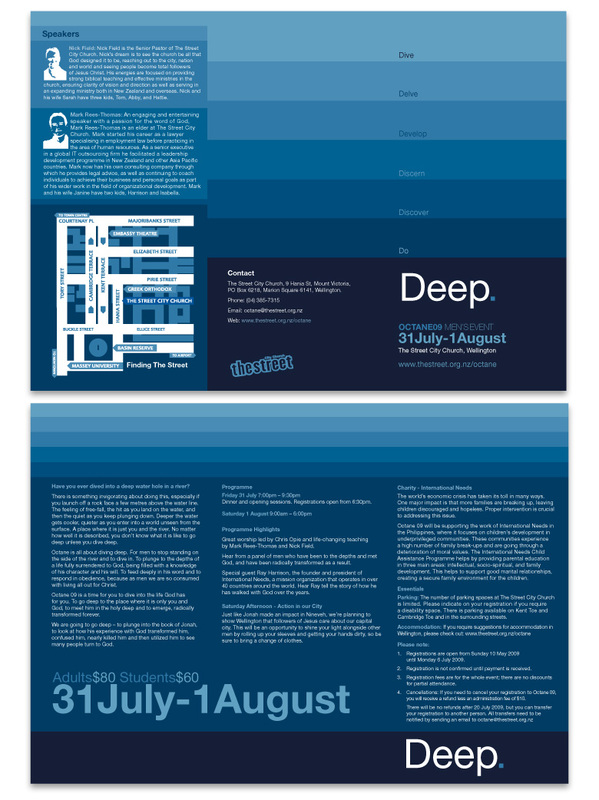 The Deep Conference booklet, handed to each man attending, with a notes section for capturing the teaching.